Happy Labor Day, Y’all! I couldn’t rightfully allow fall to get into full swing without one last hurrah for summer! 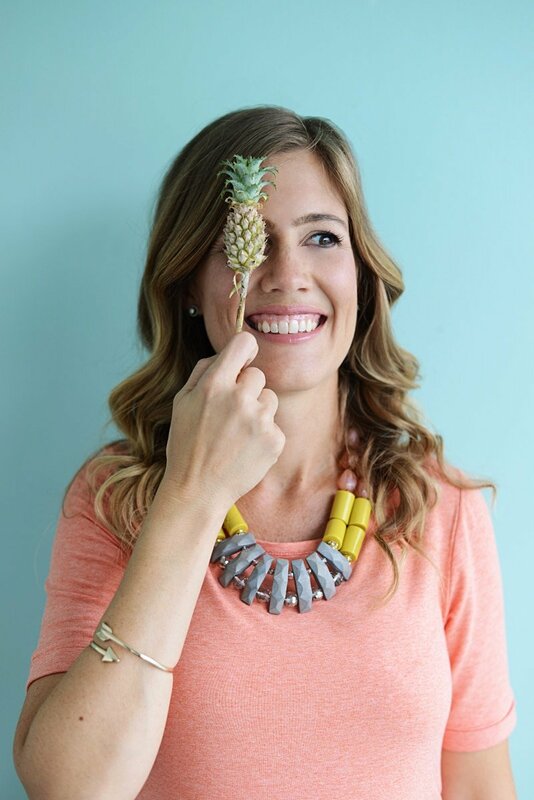 What better way then this darling “You Are The Pineapple Of My Eye” Baby Reveal for the talented Beth Beattie of Palm Beach Lately. The mini pineapples are just too cute and the pink flamingos? Love. 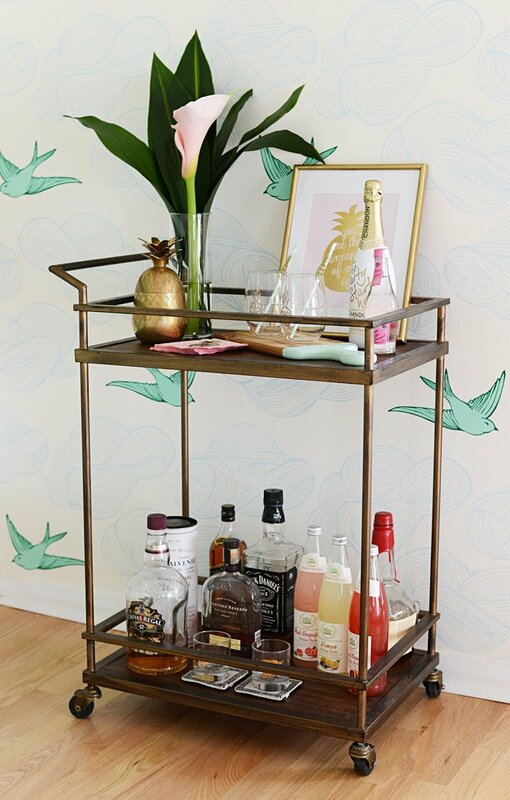 I adore the bar cart styling and the sweet pink and gold touches throughout the tablescape. Beth shared lots of party and table details below as well as a resource guide to shop the party! 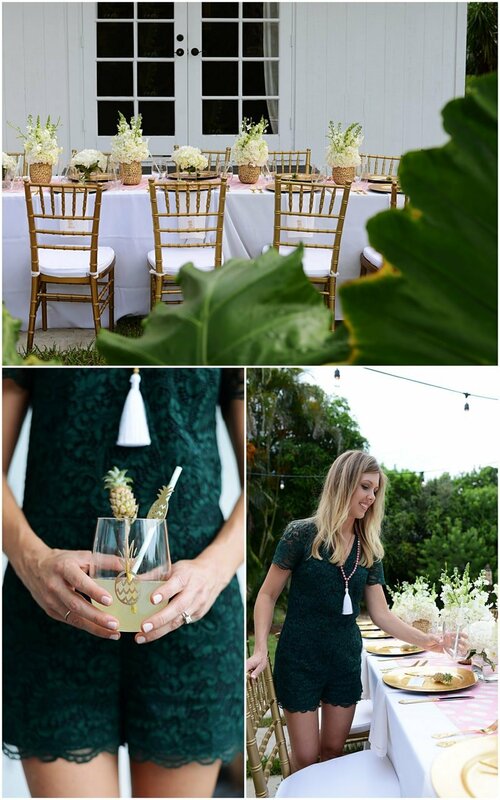 “Danielle, my sister and business partner of Palm Beach Lately, and my friend Ashleigh of Liza McKay co-hosted an al fresco dinner party with strung lights and candlelight to celebrate the reveal of my baby girl. 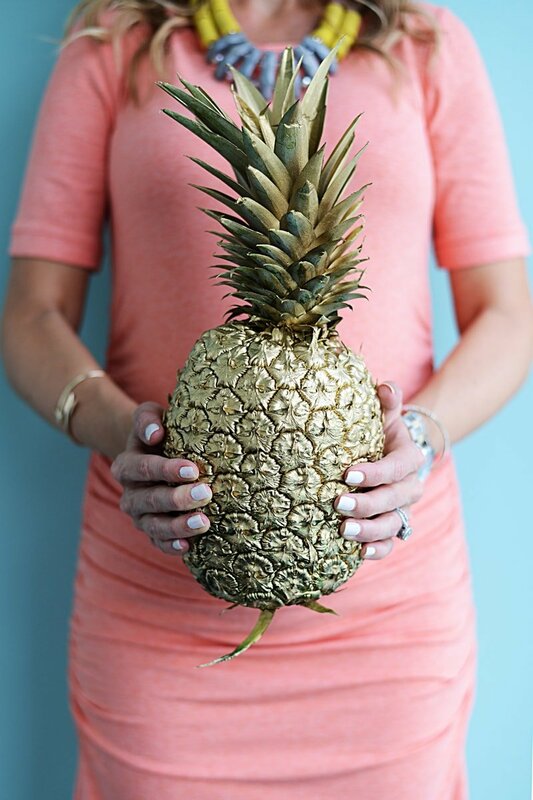 I’ve always loved mini dwarf pineapples and have used them in centerpieces for client events in the past, so they were a must for the dinner party. 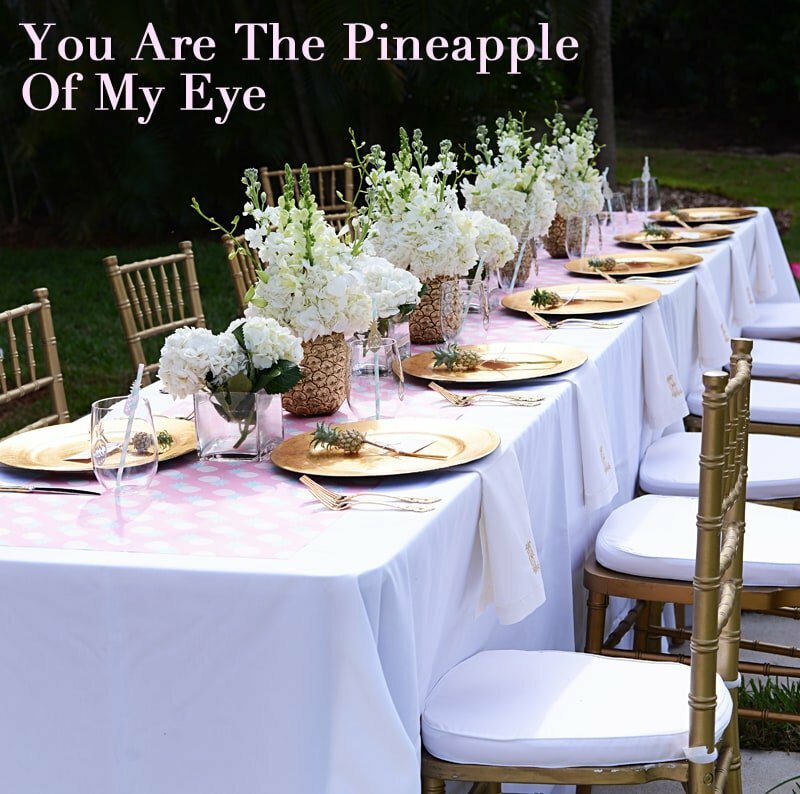 I also love the saying “you are the pineapple of my eye” as a play on “you are the apple of my eye” and thought the mini pineapples paired with the saying was the perfect theme and a cute way to celebrate our little baby. We started with the print from Have a Laugh on Etsy for the invite and had custom napkins created by Party Paper Presents on Etsy. 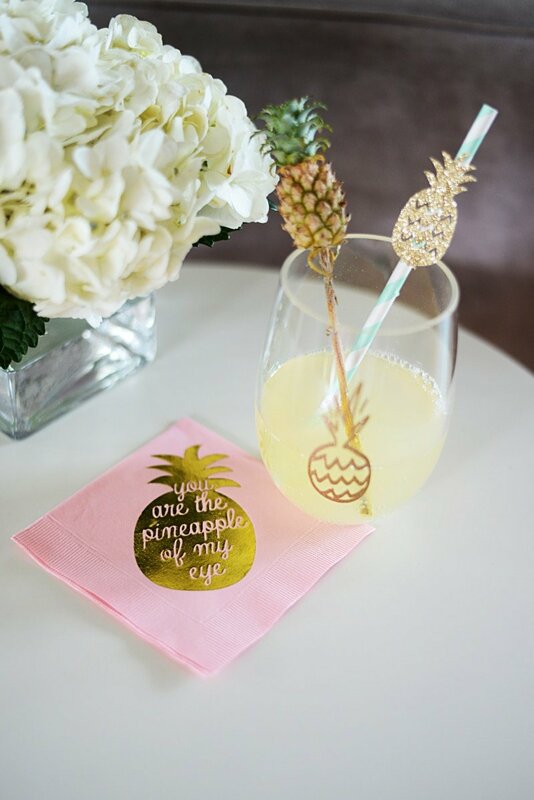 Mini pineapples are hard to find this time of year, but we were able to order from Amazon Flowers and attached place cards from Blush by Grotto Paper on Etsy. Napkins: Social Graces & Co.
9 Etsy Shops to Add to Your Favorites!